Have you ever wondered how those celebrities in the magazines and on TV seem to go from jet black hair to platinum blonde and back again seemingly with no problem? Well, most likely they have undergone something called a colour correction at least a time or two. So, what is a colour correction? 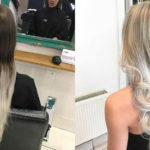 A colour correction, generally speaking, takes hair colour from one extreme to the other – either from light to very dark, or dark to very light. It can be a time-consuming process, so it is important to have a consultation with your stylist and make sure you both are on the same page of your desired look. If you are looking to make a dramatic change from light to dark (or vice versa), you will want to spend some time discussing the process with your stylist first. It is important to let them know what your colouring history is, particularly if you are working with a new stylist. Then together, you can go over the various options to achieving your desired look. It may be something that can be achieved in one day or it may require a series of several processes over a period of time to get you to the final look. You may also be able to achieve the same look by adding highlights or lowlights, as opposed to all-over colour. You can also get an estimate of how much it will cost and how much time it will take, as you will want to be prepared and some colour correction services can take up to 6-8 hours! It is possible to get your dream look, it just takes a little time and effort. So, book your free consultation with one of our stylists today and let’s make your dream a reality! 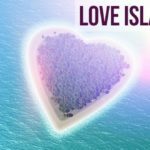 Love Island 2017 – The Real Winners! Going From Black to Blonde – Is It Possible?